Wondering why girls take long time in the shower? Because we girls have much more things to do compared to some men out there. 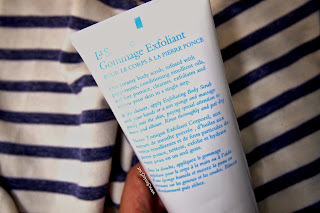 Body Scrub for two or three times a week has been my routine since long. There is no secret to soft and smooth skin, just spend a little more time in the shower will you? 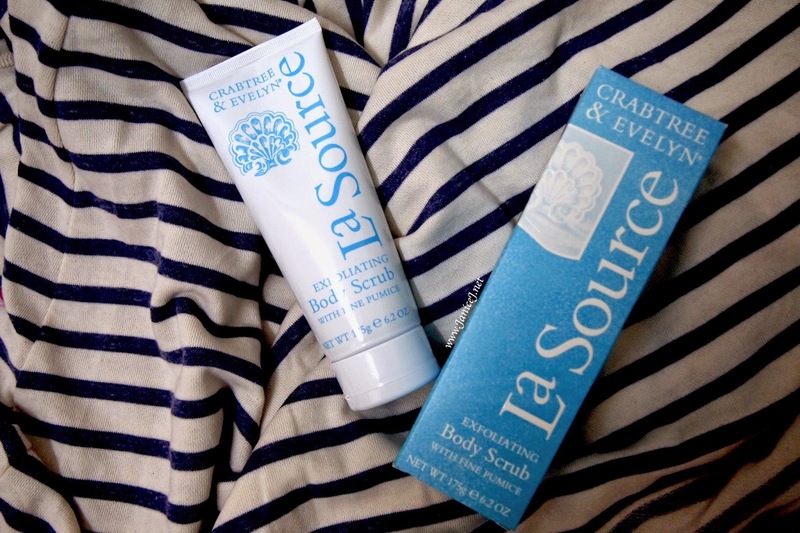 My current scrub is the one from Crabtree and Evelyn. 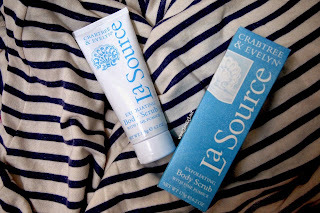 There are a few to choose from but I choose the one from La Source series as it brings me the "Ocean and fresh" feeling. 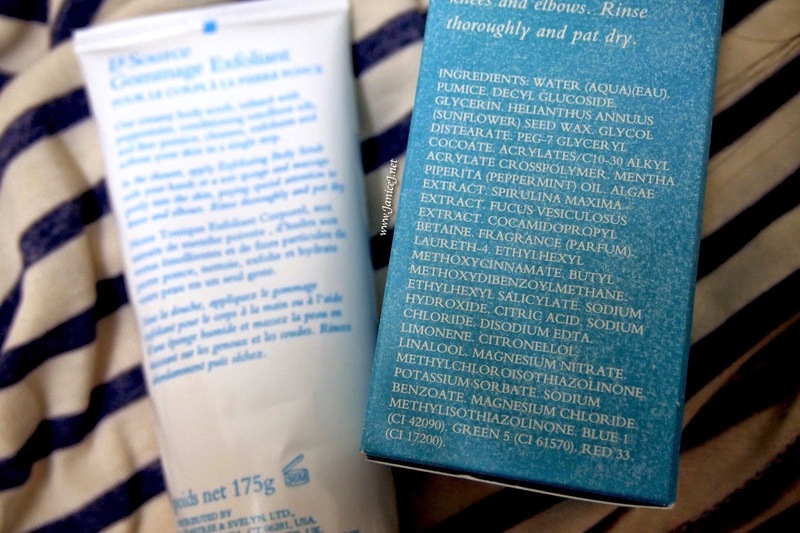 List of ingredients in the scrubs mainly for exfoliating and hydrating. For example, glycerin to replenish moisture, waxes to lock in the moisture and fine pumice stone to exfoliate away dead skins on skin surface. Just like other scrubs, you use it in the shower, rinse it, and viola.. baby skin. Just pay more attention on body parts like elbow and knee. 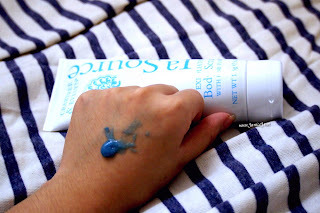 The product is gel-isn and in blue colour. The fine pumice feels like sand to me and can easily be seen with bare eye. The scrubs does not dissolve like some other brand who uses fine sugar to exfoliate. For my case, the floor feels sandy every time after my "scrub" shower. 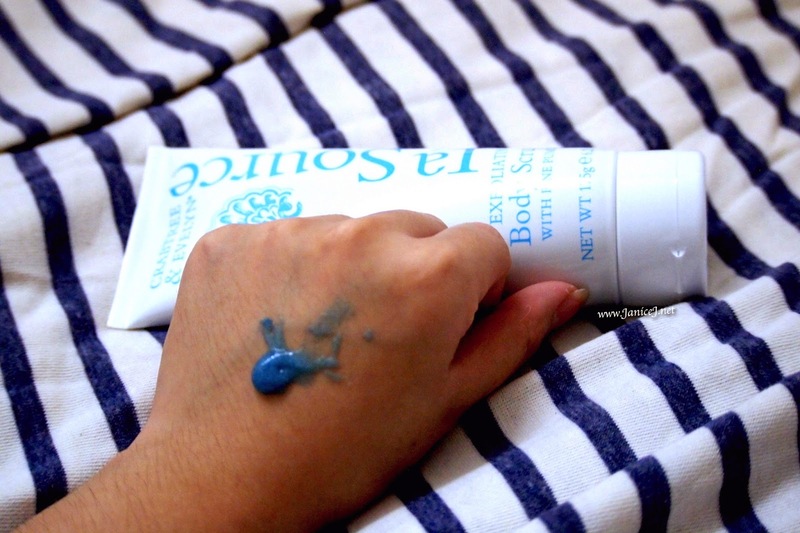 I definitely love how it leaves my skin soft and supple. 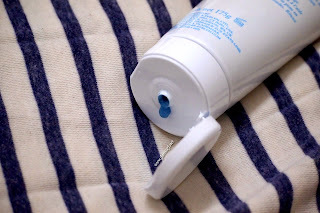 It might be too harsh for sensitive skin but it acts well on normal skin. I also love how it brighten up my skin. Just remember to apply lotions or body butter after washing up your scrub and pat dry skin. So, what's your favourite bath and body care product?